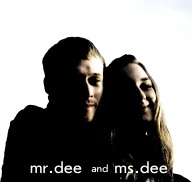 Mr. Dee is the musician, producer and the DJ from Ekaterinburg, Russia. One of the founders of Deep-X Recordings network label. He was dreaming to compose music since the childhood, but only in 2002 the dream came true. Long searches of the style and participation in various projects saved up small experience in music composing. There was a sense not to stop on the achieved. In the end of 2006 Dee got acquainted with DJ PX, nowadays known as Sergey PX. Later in 2007 they opened network label Deep-X Recordings and created joint minimal-techno project Schockierender. With the mutual efforts they had written some tracks and some remixes which were heard only by friends. It was a great push for the further creative work.